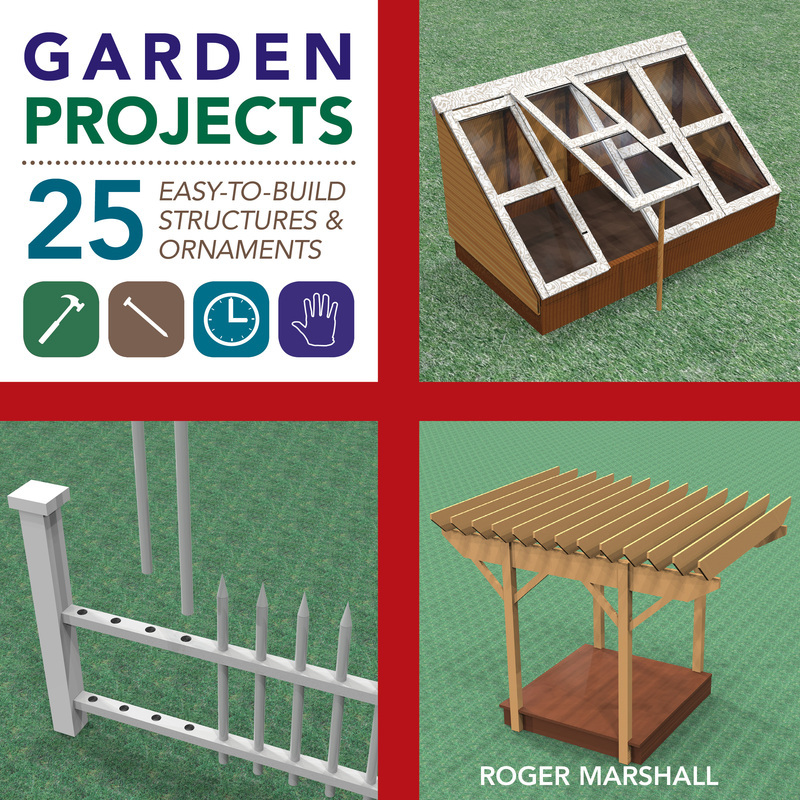 Garden Projects suit your needs and abilities, from practical and simple raised garden beds to more ambitious things, like a tool shed. There are more whimsical structures too—a flagpole, a garden swing, and an ornamental wheelbarrow for flower arrangements among them. Author Roger Marshall has carefully designed projects that don’t require a vast array of tools or advanced woodworking skills. Every gardener will find ideas and plans to enhance his or her garden in this helpful book.Marshall applies his know-how and skillful delivery to a wide range of building projects that might take a weekend afternoon or provide a way to pass the time constructively on those dark winter days when you can’t wait to get back out into the garden. For the past sixteen years Roger Marshall has written a regular gardening column for the Jamestown Press. He is also editor of Hobby Greenhouse magazine and author of multiple greenhouse books. Marshall lives in Rhode Island.